Turning your idea into bead patterns. 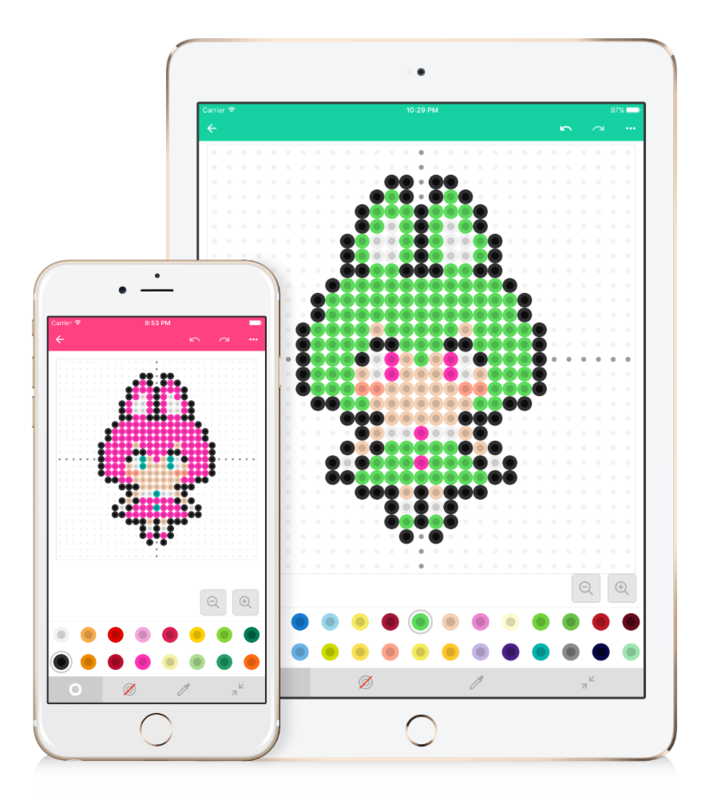 The app that can create bead patterns has appeared. 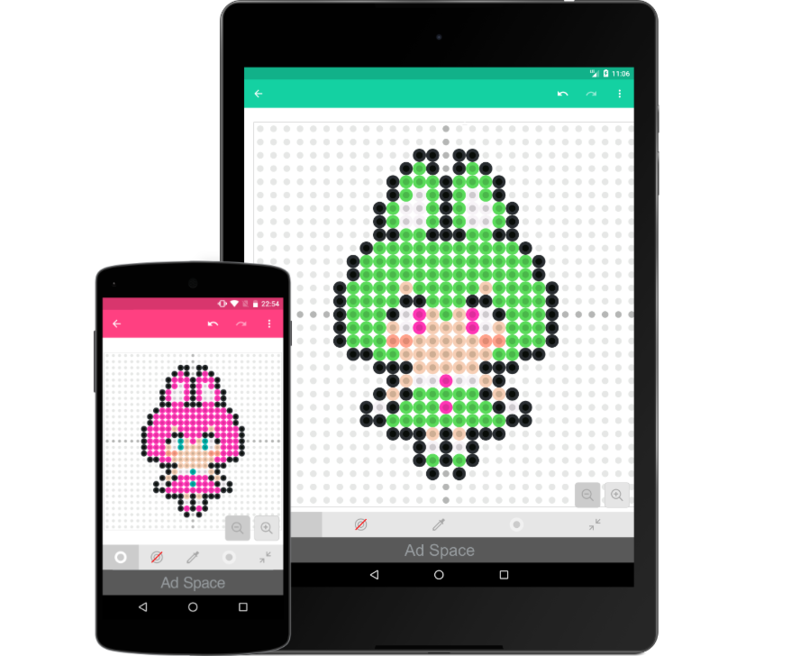 Beads Creator is a fun app that allows you to create bead patterns with your smartphone. It corresponds to bead, of famous brands such as Perler, Hama, Artkal, so you can easily create patterns for your favorite brand. Let's share your bead patterns with family and friends. Create bead patterns with your smartphone. The app for bead lovers. We prepared three peg board sizes. You can choose a pegboard suitable for the size of the patterns you create. It is convenient because you can check the color, quantity, item number of the bead used in the pattern with "Beads List". You can save the bead pattern as an image and share it with your family and friends. Also, you can output large size images for printing. Choose the theme color of the app from four colors, pink, orange, blue and green. You can change the theme anytime, so it's fun to change the color with the mood of the day. Copyright © 2017 OneTap All rights reserved.